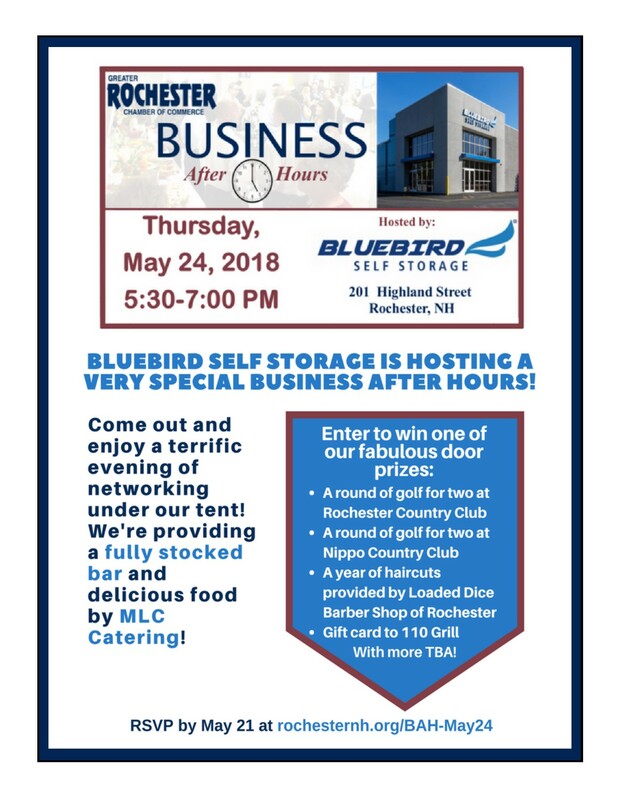 Join us at Bluebird Self Storage for a Business After Hours. Meet the staff, tour the facilities and learn more about what Bluebird Self Storage can do for your storage needs while you network with fellow Chamber members. Be sure to bring plenty of business cards to exchange and to enter into door prize. Complimentary refreshments will be served at the event.